How do you translate a 2D branding strategy into a 3D experience? That was the core question we sought to answer when working with Pitney Bowes on their new product design, the SendPro C-Series, a machine that streamlines the entire mailing and shipping process for users at any level. We also needed to reconcile this repositioning with the fact that mailing and shipping functions are now handled by everyone in an organization, not just a dedicated mailroom. Which means the experience would have to transcend skill-set; this is truly the basis of experiential design. The device would have to be simple, intuitive, and most of all, inspiring. 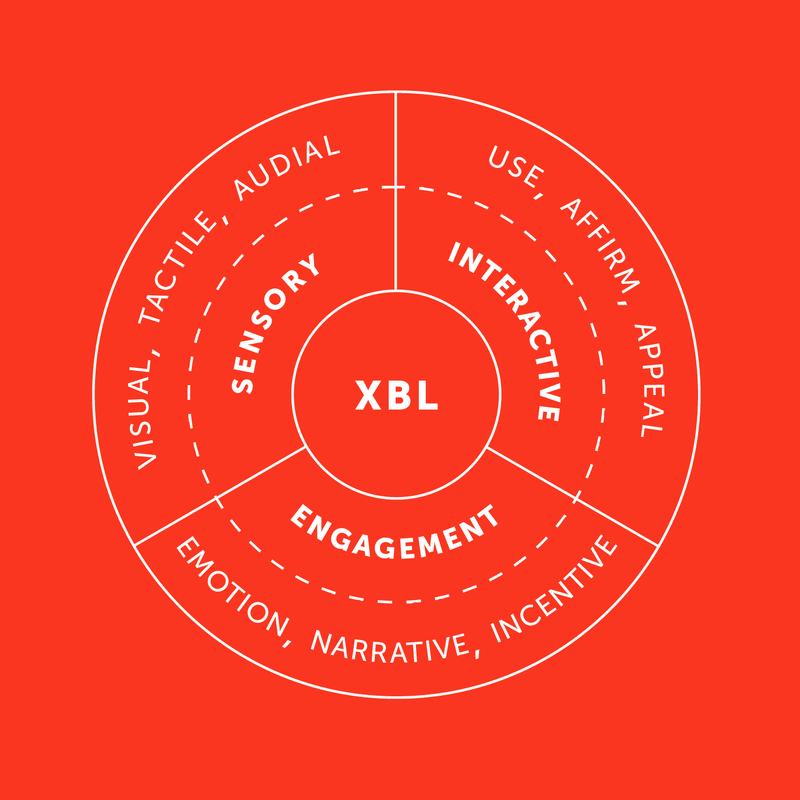 We began by developing an Experiential Brand Language (or XBL) pyramid to help us identify the core tenets of the brand, and keep us focused on where we needed to go during the product design. One of our core practices is developing the Northstar to guide our work, and then adhering to it emphatically, even when things become chaotic (as they inevitably do in product design). Having the fixed point to work towards creates cohesion and using XBL informs what that fixed point is. At the intersection of physical and digital, we had to contemplate how software and hardware functioned together for an optimal user experience. From how the machine looks, to the various controls, colors, lighting, surfaces, and interaction points, we had to ensure the user’s experience was in alignment with the brand that Pitney Bowes was conveying. When it came time to produce the machine, we stayed true to the Northstar and closely coordinated with the manufacturing team on every element involved in building the SendPro C-Series, and ensuring that all the literal moving parts were coming together in the way we intended. From the inception of the idea, to considering the brand, to supporting the manufacturing effort, we were adamant about creating an experience for the Pitney Bowes customer that accurately reflected who they are. We were stewards of the physical incarnation of their brand. As the product is commercially launched, the same XBL principles that were used to guide the product design are informing how the SendPro C-Series is communicated to the target customer. Check out the video below, and let us know what you think!